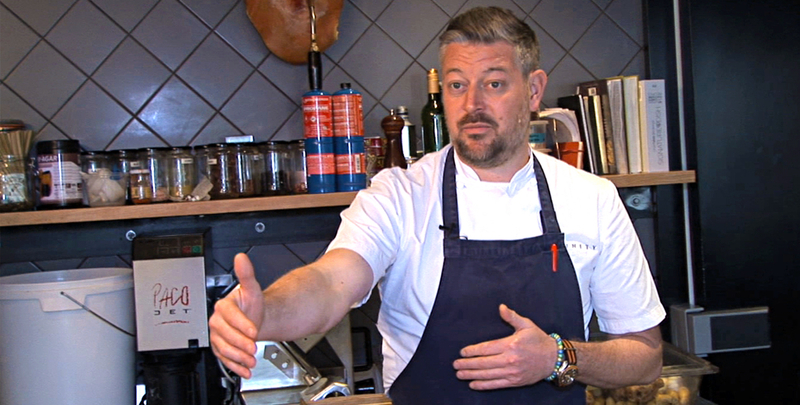 Adam Byatt’s Trinity restaurant has, among many other rewards, a Michelin star and has been described in the Times as “as close to an absolutely perfect experience of eating out as it is possible to have”. His training started early as his grandfather was an army cook and at 16 he won an apprentice scholarship at Claridges Hotel. In his unconventional cuts for inspired, original dishes, he pushes the boundaries of taste and texture by exploiting the richness of pork from slow-reared, outdoor raised pigs. On the day we came to film, the dish was pig’s cheek. Under Adam’s ownership Trinity has become famous for seasonal, imaginative food with perfectly balanced colours and taste. In this case the fattiness of the pig’s cheek and tiny slither of meat has been offset with sweet and sour flavours from unexpected ingredients. For meat that tastes so good, Adam relies on Rob Simonds’ traditional British breed of Large Black sows. Though rare today, they were often seen on small mixed farms, rooting up old grass fields, fertilising the soil and feeding on a mixed diet of worms, grubs, roots, vegetable leaves, potato peels, buttermilk, surplus fruit, and leftover food scraps. Because Rob and farmers like him are threatened by cheaper pork from intensive factory farms from the UK and abroad, ever more farmers are forced to get big or get out of the industry. By intensifying production, pigs are crammed into barren pens and dosed with antibiotics to keep them alive in stressful, unhealthy and overcrowded conditions. 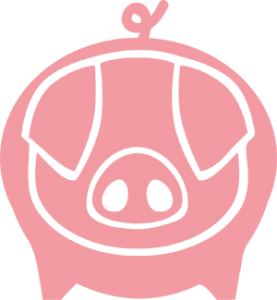 As Rob says, it’s up to consumers as well as famous chefs like Adam Byatt, to support him by paying a bit more for high welfare and therefor better tasting pork. To buy pork from farms like Rob’s not only supports rare breed pigs raised in a traditional, healthy and humane way, but whole communities. 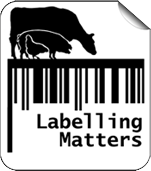 ‘If you support me, you are supporting a great number of local businesses and are keeping money in the local economy.’ To spread the extra cost perhaps buy less but better quality meat.